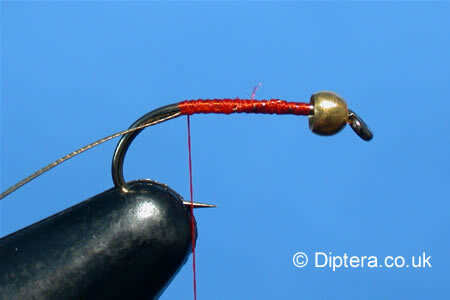 STEP 1 : Catch in some Fine Oval Silver Tinsel as the thread is wound down the hook. 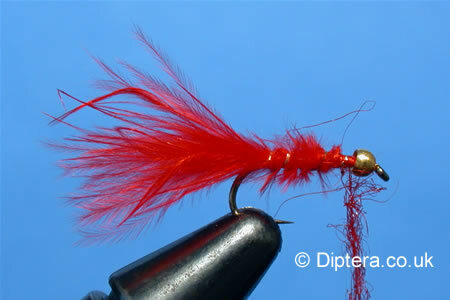 STEP 2 : Take a bunch of marabou and catch in roughly opposite the barb. 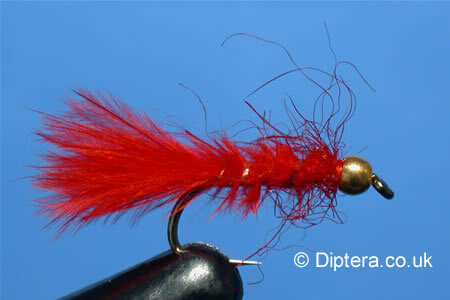 Make sure that the marabou has been prepared by removing the fluff. 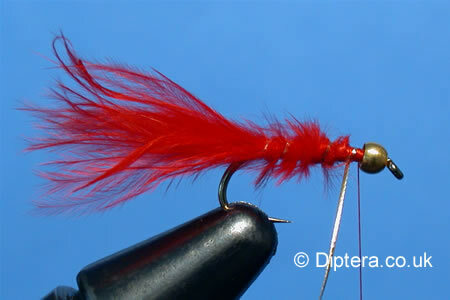 Return the thread to a position about 1/3 the length of the hookshank from the eye. 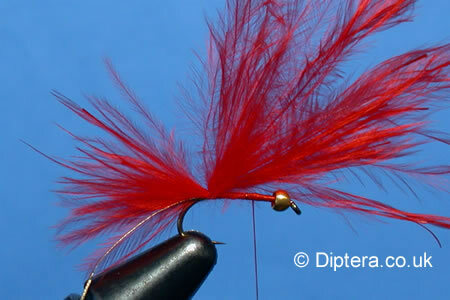 STEP 3 : Wind the marabou ends up the hookshank and secure with thread. Trim excess. 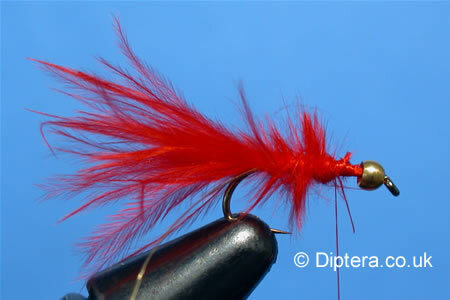 STEP 5 : Dub some red seals fur onto the thread to build up a thorax and whip finish. Final : Finally pinch the tail between thumb and fore-finger to the required length and pick out the seals fur fibres with a dubbing needle.